That's a LOT of beaches - more than even the most dedicated beach-addict could hope to see in a lifetime. But to be totally honest, I am that beach addict. 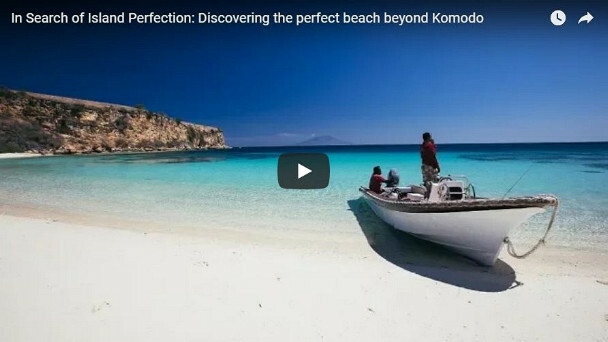 We decided to hop in one of the Phinisi's three tender boats to see if we could find one of Sumbawa's famed 'secret beaches'. "What a great trip! Good company, great crew and of course great aquatic life. 12 out of 10!" "To have a great crew, skilled bootie, a magician in the kitchen (Totok) with a bunch of wizards to help, constant beaming smiles (specially from Yovin) it is incredible. And on top of that we got amazing dives. Villages visits, walks on beaches, great conversation and new friends. Not forgotten the very able Karl. Thanks to all Seven Seas." Since "retiring" one year ago, my wife Suze and I have put together three trips to Indonesia. We were there a month each time, two weeks of which were aboard the liveaboard Seven Seas exploring remote islands both above, but mostly below, the seas. Surrounded as we are on such trips by interesting and interested people makes each trip special: we’ve seen volcanoes, both quiescent and boisterous, traditional villages, cultures, practices, dance, arts, and architecture. But most of all, we’ve seen coral communities that don’t even know they are supposed to be stressing from climate change. They are vibrant and robustly resilient. 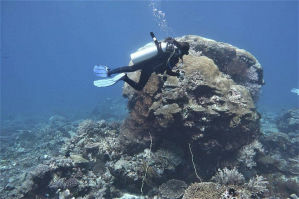 Some have ancient corals, the true methuselahs: boulder corals hundreds of years old, and table corals 50, 60, even 70 years old, which is significant for these most susceptible of corals. 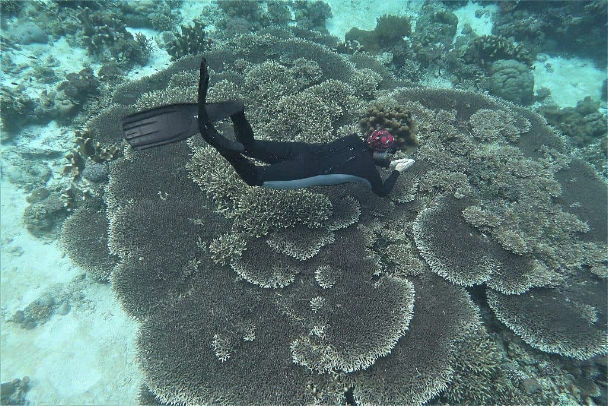 All the while, I do what I’ve always done: keep my eyes wide open, try to see, really see, what I’m looking at, think about what I see, and ponder what it means for the future of coral reefs and how we manage them. Keeping hope alive can be challenging at times. 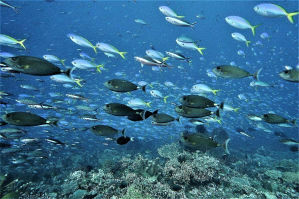 But then one needs to be a zealous optimist to weather 50 years of marine ecotourism and conservation without being calloused into a cynic. While optimism can be a distraction and the equivalent of burying one’s head in the sand (only to drown later as sea levels rise), it can also be the fair wind that keeps us sailing through the doldrums of despair. 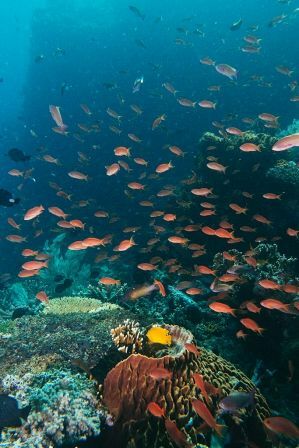 A trip such as any of the three completed this past year: Forgotten Islands, Spice Islands, and Komodo and East Flores certainly raises hope for the survival of coral reef communities and their plethora of species. 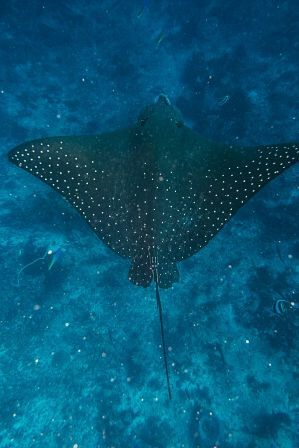 And while it’s true that I focus on unraveling the story of corals’ health and resilience, the enthusiastic eagle-eyed dive guides, including the cruise director Karl and his two dive leaders, Irwan and Jeffry, easily draw attention to the weird and wonderful critters they have found. See our live schedule for itineraries and available spaces until 2021.